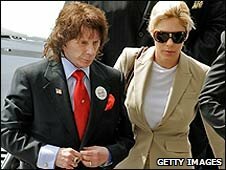 US music producer Phil Spector has been convicted of murdering actress Lana Clarkson, after a five-month retrial. The 68-year-old, famous for the "Wall of Sound" recording technique, faces between 18 years and life in prison. He had pleaded not guilty to the second degree murder of 40-year-old Ms Clarkson, who was shot in the mouth at Spector's home in Los Angeles. Spector was remanded in custody until sentencing on 29 May. His lawyer has said he intends to appeal. 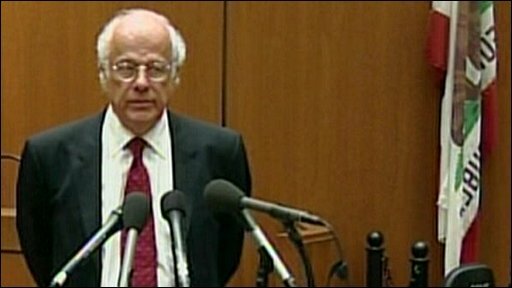 Phil Spector's lawyer gives his reaction to the verdict. "I don't think justice was done today," said lawyer Doron Weinberg. Spector had looked frail as he entered the Los Angeles Superior Court, dressed in a black suit with a bright red tie. The jury took some 30 hours of deliberation to reach their unanimous guilty verdict. As the verdict was read out, Spector remained quiet and his wife Rachelle sobbed. The jury had the option of returning a verdict of involuntary manslaughter, but chose not do so. An earlier trial was abandoned in 2007 after a jury failed to reach a unanimous decision. Second degree murder falls between first degree murder, which requires proof of pre-meditation, and manslaughter. Speaking after the verdict, Mr Weinberg congratulated the jury on "trying to do the best honest job they could" with "complete integrity and complete honesty". But he said the jurors had been flooded with "improper and prejudicial evidence" which made it impossible for them to reach a fair conclusion. He said he was "very, very certain" that Spector had not been proved guilty "under the proper legal standard". Mr Weinberg said "the nature of the legal errors" made in the trial were "so significant and so clear that there is every likelihood that this case will be set aside on appeal". One of the jurors, speaking at a news conference after the trial, said the jury had a "complete picture" from the evidence. The unnamed woman said they had "gone through all the information and that's what the conclusion was". Phil Spector worked with some of the biggest names in the pop and rock business, including The Beatles and Ike and Tina Turner. He produced hits including You've Lost That Lovin' Feelin' by the Righteous Brothers and the Ronettes' Be My Baby. But for all his musical genius, Spector had a dark side. He was often described as being a bully in the studio, a man with a liking for guns and an eccentric personality. 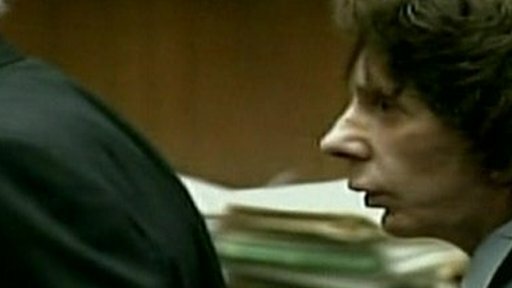 During the five-month retrial, five female acquaintances testified that Spector had threatened them at gunpoint in incidents dating back to the 1970s. Mr Weinberg had argued that the evidence from the women should not have been admitted. The defence said Ms Clarkson's death was a suicide and appealed to jurors not to judge the star on his eccentric appearance. Spector himself opted not to give evidence. Actress Clarkson, 40, had been working as a hostess at the House of Blues venue in Los Angeles, and went home with Spector on the night of her death. After appearing in cult 1980s films such as Barbarian Queen and Fast Times at Ridgemont High, her acting career had hit the rocks. Spector had arrived at the club with waitress Kathy Sullivan, before setting his sights on Ms Clarkson. Spector's Brazilian chauffeur, Adriano De Souza, said his boss appeared to be intoxicated and that Ms Clarkson was initially reluctant to go home with the music producer. She was found dead in the foyer of his house in the early hours of the morning. A holster that matched the snub-nosed Colt Cobra revolver that Spector used to kill her was found in a drawer in the foyer. Mr De Souza called the emergency services, saying: "I think my boss killed somebody", after Spector emerged from his home with a gun. He told jurors Spector had said: "I think I killed somebody." The defence argued he had misheard his employer. The producer was taken into custody about 40 minutes after the shooting and had to be subdued by officers using a stun gun.